Wet plate collodion is a mid-1800s photographic process invented in 1851 by English sculptor, Frederick Scott Archer. The in-camera process involves a complex series of steps, each using a specialized chemical solution. Wet plate collodion is a by-inspection process, meaning the decision to end one step and begin the next is literally in the hands of the photographer. A collodion image is made on a glass or metal plate. 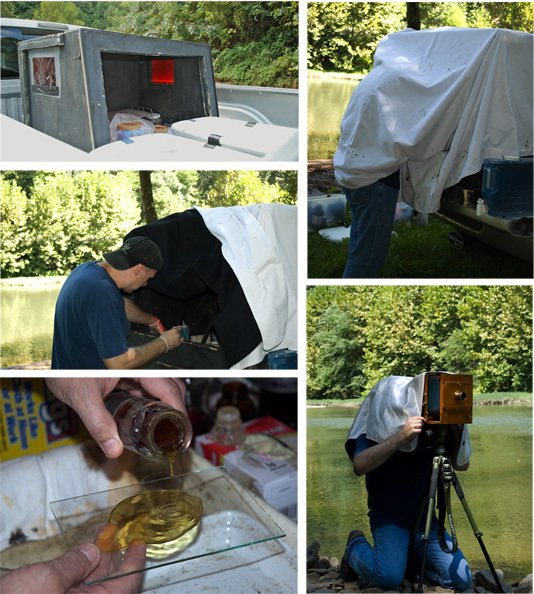 The image most be created while the plate is still wet with chemicals, so a portable darkroom is a necessity in the field. The process is messy, and requires use of hazardous and flammable chemicals such as grain alcohol, ether, cadmium bromide and potassium cyanide. 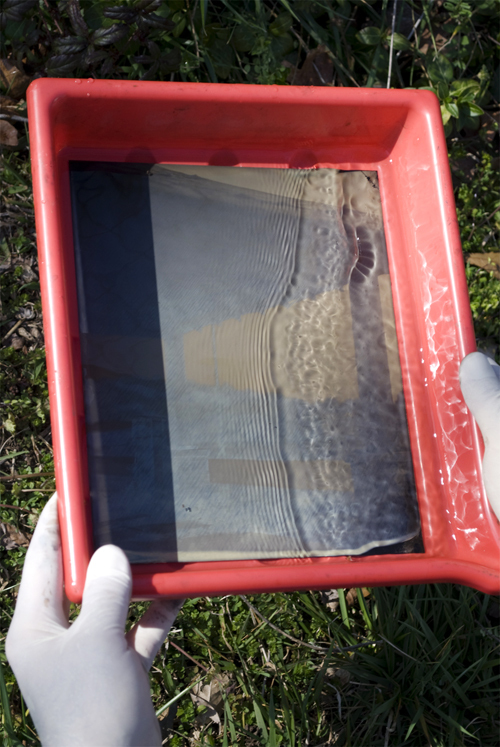 Wet plate collodion demands careful handling and storage. The process also requires specialized equipment and supplies. Do not attempt wet plate collodion without first receiving training from someone experienced in the process. I have about 10 years of experience in wet plate collodion, both in the studio and in the field. My experience includes traditional process methods, and advanced techniques incorporating the use of film and digital elements. I offer wet plate collodion weekend workshops, seminars, artist talks and live demonstrations, so please contact me if you wish to learn more about the process.